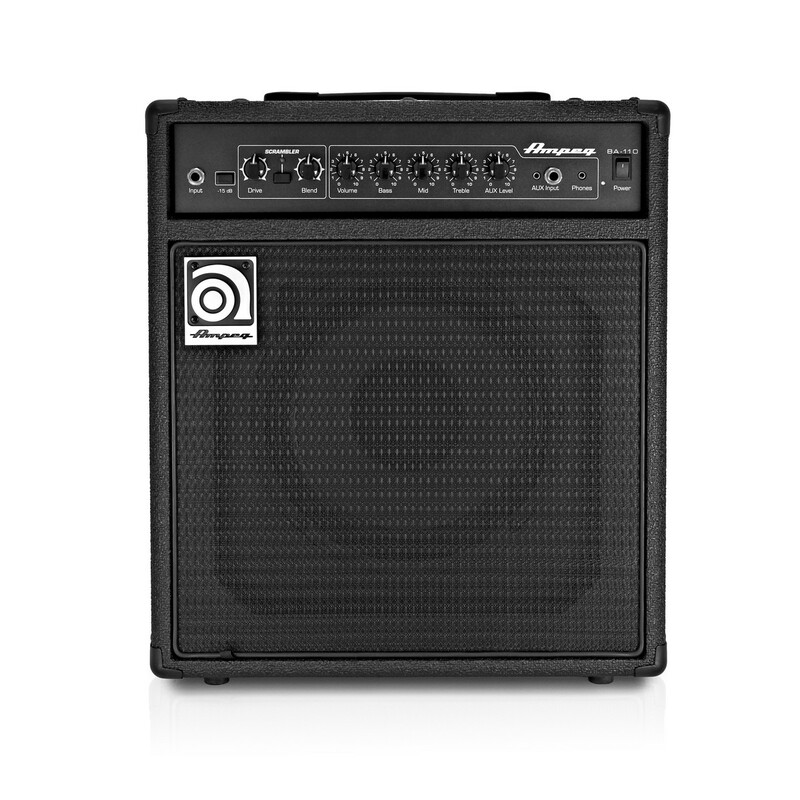 The Ampeg BA-110 bass combo amp is a small and lightweight amp that incorporates modern features such as audio inputs and outputs making it ideal for home use. 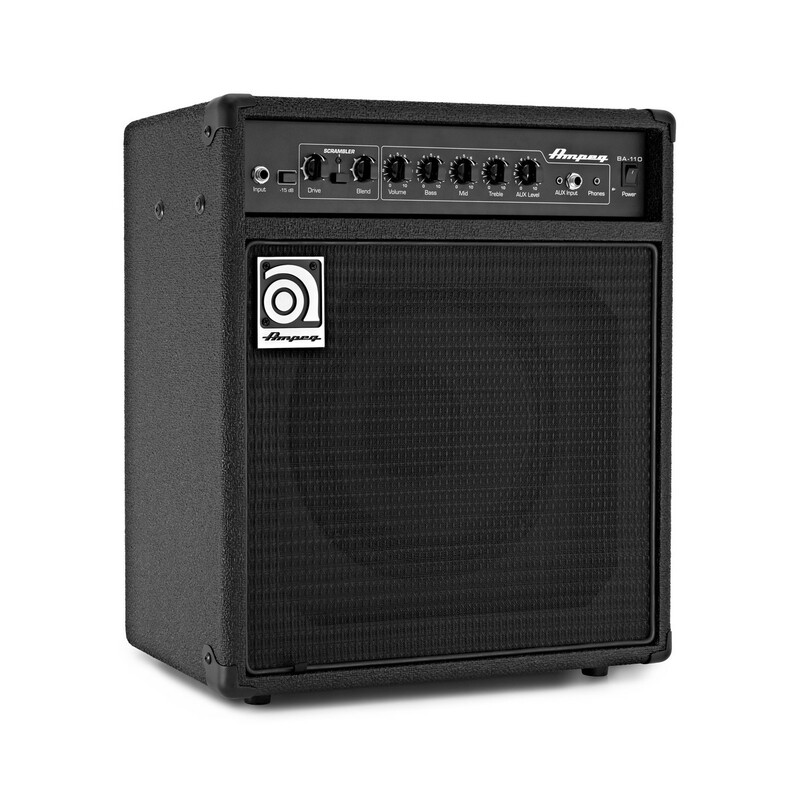 A tilt-back cabinet offers directional sound which helps the player to gain a true indication of their EQ settings and makes them more accessible for adjustment. Providing 40 Watts of power, the BA-108 is the perfect choice for players who want to capture the classic Ampeg sound at home. 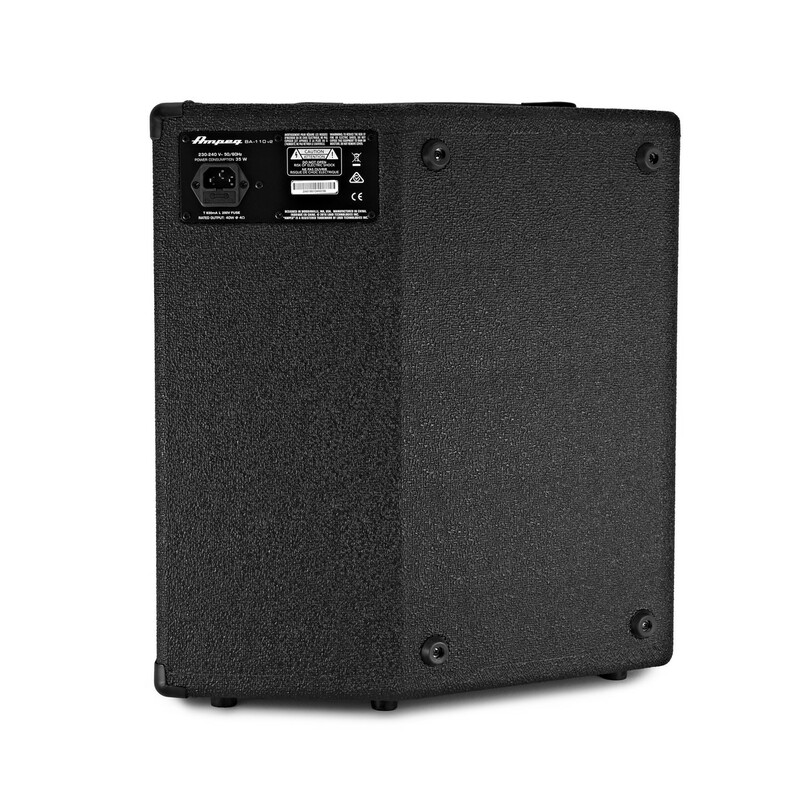 The BA-110 is a mid-sized 40W bass combo amp that is ideal for home practice and small live performances. 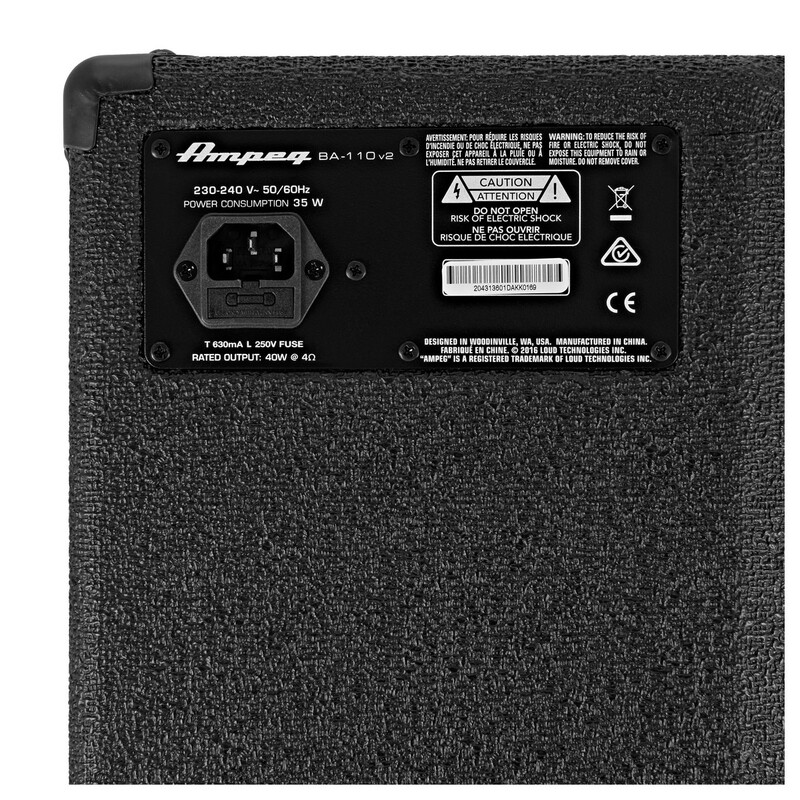 An auxiliary input provides connectivity to audio devices such as MP3 players, this enables you to play along with your favourite songs or backing tracks. Headphones can be connected via a 3.5mm headphone jack output located on the front of the amp for ease of access. 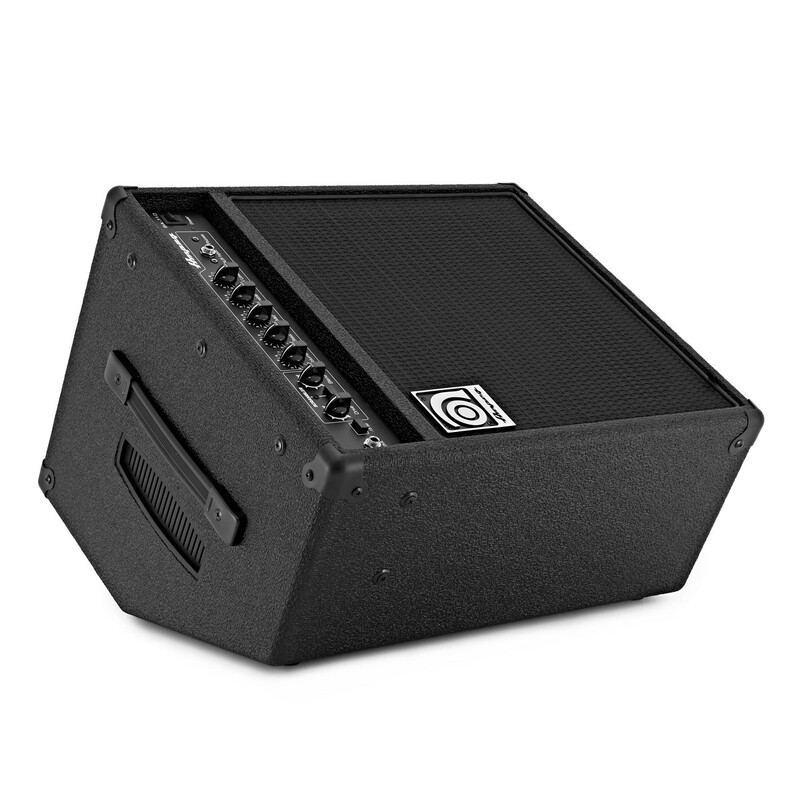 The more modern functions featured on the BA series amps meet the need for versatility that today's musicians require, providing complete control over output and noise levels. 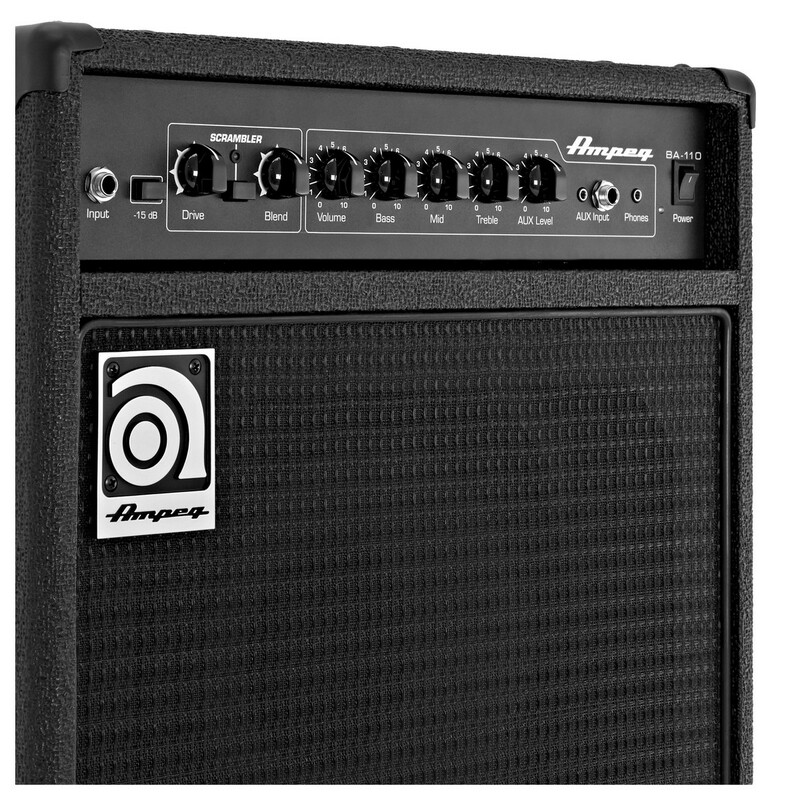 The -15dB pad means that players can use the BA-110 at home with the classic Ampeg sound at a lesser volume as well as being using its full output for performances.